When I hear the word spring the first thing I think of are lovely pastel colours. So the colour scheme for today’s spring nail art tutorial was pretty much predetermined – pastel purple with a perfect companion, silver. The pattern is a modern take on the French manicure, the Sideways French. However, instead of using two different colours to create the sideways curve I used silver glitter and rhinestones. Who doesn’t love a bit of spring bling? 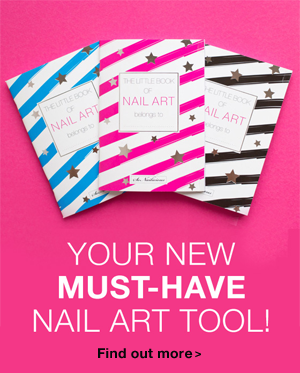 The best thing about this nail art is that it’s super easy to do. Bonus #2: Sideways French nails will suit almost any occasion – prom, date, dinner out or cocktails with the girls, you name it! 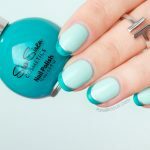 Check out the tutorial below to learn how to do these lovely spring nails at home. 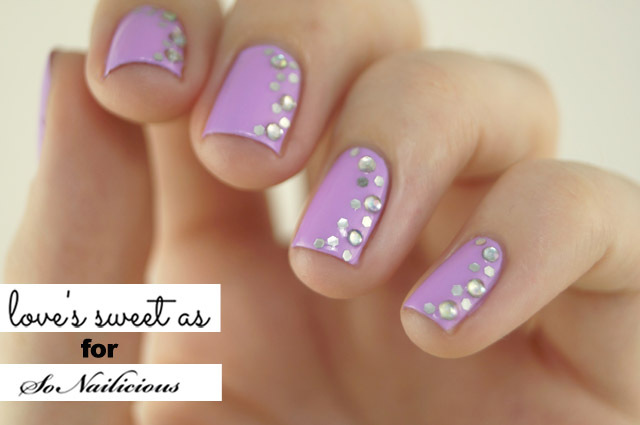 Paint all your nails with two coats of a pastel purple nail polish. Paint your nails with one coat of topcoat, while its still wet place three rhinestones along one side of your nail using a pair of tweezers. Paint one nail with another coat of topcoat, while its still wet place individual pieces of silver glitter around the rhinestones in a curved shape down the side of the nail. Repeat for each nail. 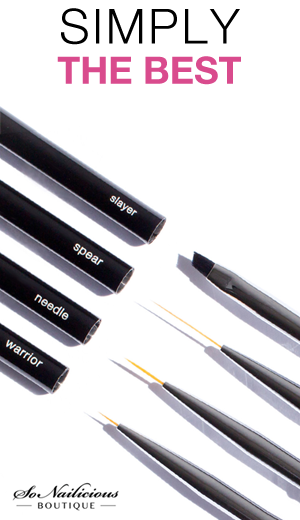 To place the glitter, put a small amount of topcoat on a bit of plastic (or foil, or paper), dip the end of a toothpick in it then use the toothpick to pick up a piece of glitter, touch it to your nail where you want the glitter to be placed. Paint you nails with another coat of top coat to seal in the glitter and create a nice shine, then you’re done! Used: Lime Crime ‘Lavendairy‘ (or Essie ‘Full Steam Ahead‘), Essie ‘To Dry For’, loose silver glitter and white rhinestones (you get these from a local craft store). 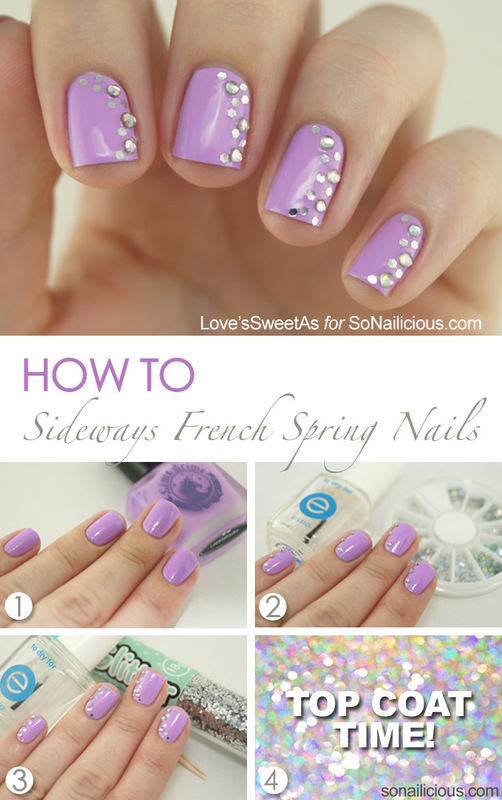 Hope you enjoyed this Sideways French spring nail art tutorial! Look forward to seeing your version! 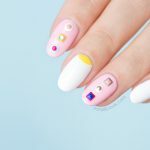 If you recreate this nail design, make sure you tag Astrid @lovessweetas and @So_Nailicious in your photo on Instagram we’d love to see your work!